We want you to smile confidently! 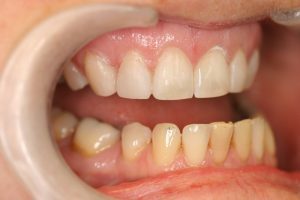 If you are concerned about the appearance of your teeth, we offer a range of treatments to enhance your natural teeth. During your cosmetic consultation we will discuss your concerns and assess your mouth for suitability. We will then customize a cosmetic dental plan to suit your needs. 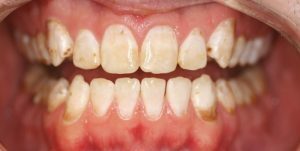 See our gallery below for examples of real cases that have been treated at Pil Son Dental. 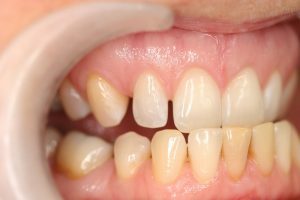 If you would like to learn how we can care for your smile, contact us today for a consultation. 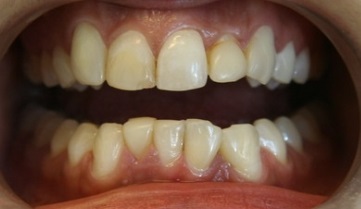 BEFORE: Patient is a coffee drinker and found that her teeth had become yellow over time. 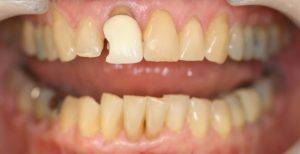 She wanted a non-invasive way of brightening up her teeth. 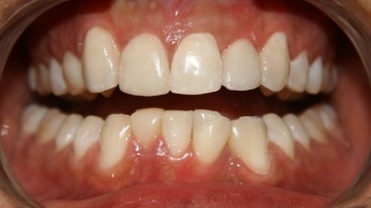 AFTER: Cleaning and 90 minute in office teeth whitening to enhance her natural smile.